This is a Good-buy! 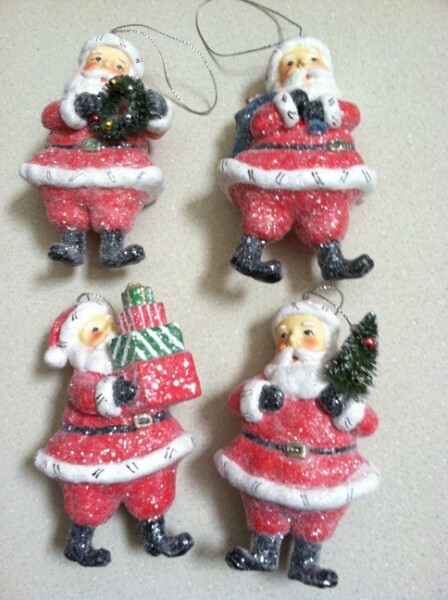 Retro Santa ornaments with six different accessories, each cuter than the next. How will you choose? They are approx. 4" tall, made of paper pulp plaster and clear glitter.